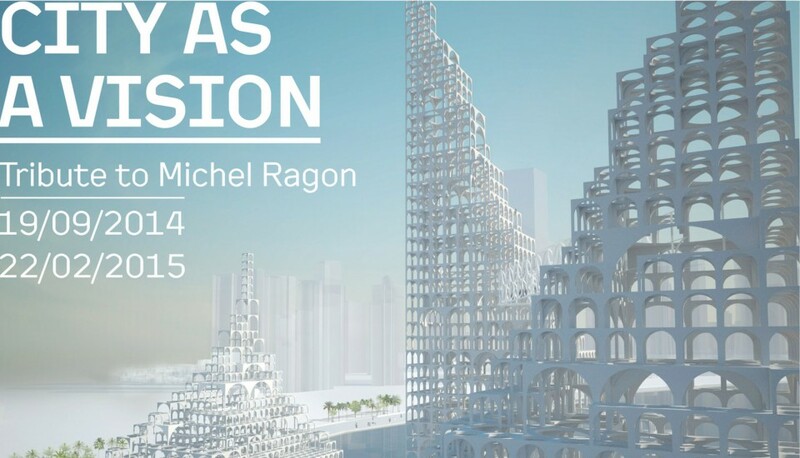 Divided into two sections – one historical, the other prospective – this exhibition pays tribute to historian and critic Michel Ragon who, in his books Où vivrons-nous demain? [Where will we live tomorrow?] (1963) and Prospective et Futurologie[Forecasting and Futurology] (1978), gave an introduction to the issues of experimental architecture – a field that lies at the heart of the Frac Centre’s collection. After World War II, architects refused to follow the diktats of functionalist architecture and engaged in a radical redefinition of the city. By carrying out a precise analysis of the sociological mutations of their times, they created “urban systems” capable of globally organising and anticipating new Western lifestyles. Yona Friedman was one of the first to theorise the principles of spatial urban planning on a global scale. His studies on mobility, which he presented at the International Congress of Modern Architecture in 1956, considerably influenced the development of the “futurologist” movement, which spanned the 1960s and of which Michel Ragon became an advocate. Through publications in magazines and as a member of the GIAP (International Group for Prospective Architecture), he shared the many researches carried out on this form of “prospective” urban planning: the towns imagined were plastic or organic, aerial or underground, helicoidal or oblique, shaped as arches, hills, or bridges – cities of the future that stretched out into gigantic above-ground infrastructures, thus encouraging a free and continuous circulation of people and information. Through six thematic sections, along with a hundred or so scale models, drawings, and photomontages, the exhibition focuses on giving an overview of this search for new territories and urban configurations capable of welcoming future city-dwellers. It illustrates how, for this generation of “visionaries”, experimentation and patenting innovative technical solutions always came hand in hand with the assertion of imagery as a field for creation and anticipation. Between pragmatism and utopia, the featured projects, mostly taken from the Frac Centre’s collection, embody the optimism of the “Pop years”, the myth of a culture craving for leisure and consumption, and fascinated by the cybernetic dream and space exploration. Yet by the late 60s, these infinitely expandable “megastructure” cities started becoming a symbol of oppression, the ultimate avatar for a depressed modernity. Radical architects then ironically laid the foundations for a new environmental conscience, delivering “negative” visions of a humanity enslaved by the ideology of progress. At the end of the historical overview, the exhibition presents the contemporary projects of twenty or so internationally acknowledged agencies and examines the way these issues are re-appropriated on a wider scale today. “The futurology of cities has spread throughout the entire world”, Michel Ragon wrote in the 1970s. Globalised urban environment has now become reality, emerging at the crossroads between what is built and connected, what is wild and controlled. The projects presented all answer the necessity to rethink new uses for cities, to generate resources and connect the microscale of the individual with the macro-scale of the expanding urban territory. What logics can architects develop to generate or regenerate the contemporary city between local and global scales?